You only have a few more days to enter the giveaway for My Ridiculous, Romantic Obsessions by Becca Wilhite. This is a light, clean, fun romance that really is a delightful read. You know you want it, so enter already. 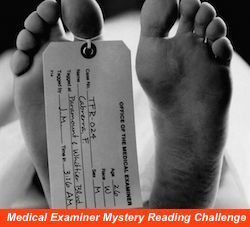 Deadline is midnight on March 20. 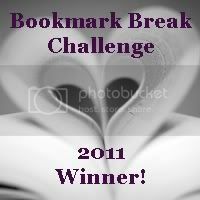 I still haven't heard back from Jenii, who won a copy of Taken By Storm by Angela Morrison. Since I've been out of commission lately, I'm going to give her until Monday to contact me. If I haven't heard from her by then, I'll select another winner. 2. Robby @ Once Upon A Book Blog - a 14-year-old boy who reviews books in a very intelligent, well-written manner. Need I say more? 3. 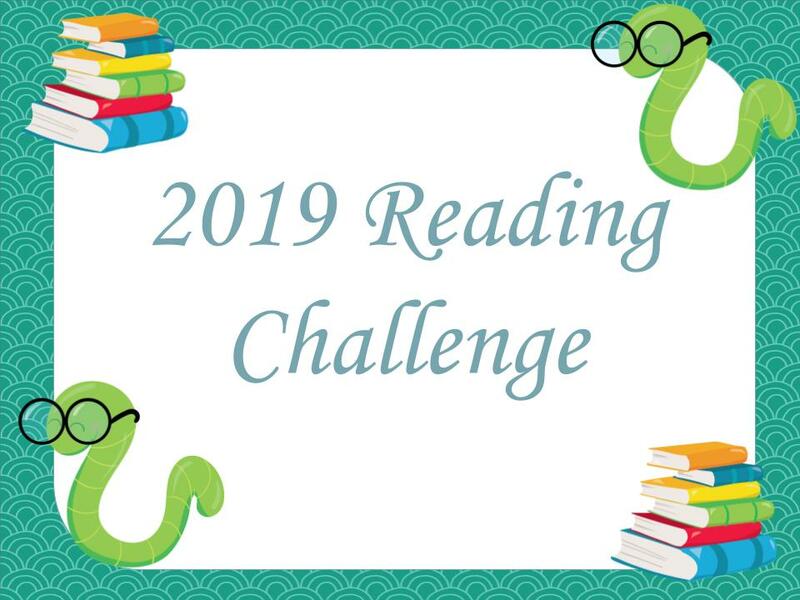 Laura Fabiani @ Library of Clean Reads - because I always get excited when I find blogs dedicated to clean reads. 4. 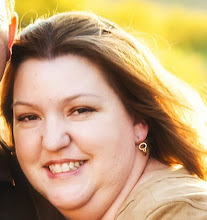 Christie @ The Fiction Enthusiast - a "kinda crunchy" SAHM reviews YA paranormal books. Pretty blog design, succinct reviews (something I'm always failing at), and fun personality. 5. Libby's Library - fun blog layout and I love how her reviews are short, sweet and look like poetry. Plus, she adores Adriana Trigiani - a girl after my own heart. 7. Tweezle @ Just One More Paragraph - enjoyable reviews and she hates housecleaning as much as I do! 8. Jessica @ Forever Young: A YA Lit Blog - a high school English teacher who reviews YA books. If only all h.s. teachers were so cool! 9. Angela @ Reading Angel - I love the whimsical layout of her blog. Plus, I love finding other SAHMs that read and blog. So fun! 10. The Little Reader - I love how she reads books that are a little different from the norm - most of her newer picks are ones I haven't seen reviewed a million times already. 12. Juju @ Tales of Whimsy - I love the way she sets up her reviews. Also all the recipes. Yum. 13. Jeannie @ Pine Cottage Books - because doesn't "Pine Cottage" just conjure up an image of cozy reading in front of a roaring fire? Plus, this Miss Marple wannabe grandma is funny and writes such enjoyable reviews. 15. Amanda @ Desert Book Chick - Read Amanda's "About" section and you'll find that she's absolutely fascinating. I love reading what this Australian adventurer has to say! Phew! That's a lot of book bloggers. And there are so many more out there. Your Google reader will hate you, but you should really join in the Book Blogger Hop and check out all the great book blogs out there. You're supposed to pass on the award to 15 others. I know some people hate passing them on, so I'll understand if you don't, but it's always nice to spread the bloggy love around. Read, Remember, Recommend brings exceptional works of fiction to the attention of readers while inciting their overall enjoyment by exploring thoughts, feelings and emotions through the course of reading. The journal features dozens of cross-referenced lists of literary awards and notable picks and offers more than 2,500 suggestions to help readers discover great literature and new authors. Users can record books read, jot down thoughts and ideas, and keep track of recommendations, books borrowed and loaned, and book club history. I'm thrilled to be included. Can't wait to get my copy of the book! Angela Morrison. You may have heard that her publisher did not pick up Unbroken Connection, the sequel to Taken By Storm. If you (like me) are a little miffed about this, consider posting about it on your blog or joining the Facebook support page. Also, Angela wanted me to let you know that "Beth's Song" (from Sing Me to Sleep) is now available on iTunes - find it here. You can also check out the book's Epilogue (which was cut in the final printing) on Angela's website. 1. Book next to your bed right now: I don't usually keep a book on my nightstand. If I'm going to read in bed, I just bring up whatever book I'm reading. 4. The one book you would have with you if stranded on a desert island: Well, the handiest would be "How to Survive on a Desert Island" or, perhaps, Swiss Family Robinson. 5. Book/series you would take with you on a long flight: Hmmm ... some nice, fat family saga. 6. Worst book you were made to read in school: Catcher in the Rye by J.D. Salinger. I can't stand that book. 7. Book that everyone should be made to read in school: I agree with Jillian on this one - The Book Thief by Marcus Zusak. 9. Favorite character: Of all time? Anne Shirley, hands down. 11. Favorite concept book/series: Right now I'm really fascinated by post-apocalyptic/dystopian worlds like those in the Gone series by Michael Grant and The Last Survivors series by Susan Beth Pfeffer. My favorite concept, though? Hmmm ... I'm thinking the Inkheart books. Haven't all of us fantasized about stepping into our favorite storybook worlds? 12. Favorite invented world: Since I would NEVER want to step into worlds like those created by Grant and Pfeffer, I'm going to go with Virgin River, the setting for a series of books by Robyn Carr. It's a quaint little town in California populated by good, hardworking folks. Mountains, rivers, Preacher's home cookin' at Jack's Bar, and some eye candy to ogle - what's not to love? 14. Funniest book/series: Anne of Green Gables is hilarious in a funny, old-fashioned kind of way. Whew! I think that's it. I'm going to dive back into Dirty Little Secrets by C.J. Omololu. And yes, I am going to be shunning housework to read about a teenage girl who has to deal with the humiliation of her mother's excessive hoarding. Oh, the irony! Congratulations on your award and being included in Read, Remember, Recommend! I was asked to review it too and I can't wait to read and use it. 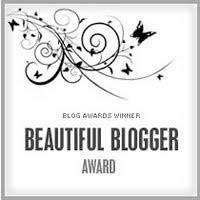 And thanks so much for passing on the Beautiful Blogger award to me. I truly appreciate it! Uh, yeah thanks to CERTAIN book blogggers, I only read one :) , my book purchases on Amazon have increased so much that my husband is starting to wonder what is going on! 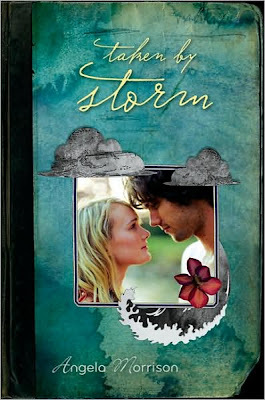 I bought the two Angela Morrison books, but one thing is bugging me about Taken by Storm....all the lowercase I's! Is that just me? Thanks so much for the award and the very kind words. I'll be sure to let you know when I have my post up! Thank you for the award! You made my day. :) I've become a follower too because your blog is amazing and informative. It's nice to meet you! So cool you're going to be featured in Read, Remember, Recommend! Thanks so much for the award! It's my first time at your blog and it's lovely! thank you so much for the bribery, i mean, award. :) and congratulations on your award, too. and i appreciate the thoughtful comment about what you like about my blog. it's always nice to hear good things about our blogs, since i know we all work really hard on them! Hi lovey blog, I`m afollower new . Thank you so much for passing the awards on to me and the compliments on my blog! You’re so sweet!